Who does not like a great barbecue? After all, it is one of our highest traditions. We all know that one person who is always on a barbecue duty. Besides, it is a great way to celebrate and have loved ones around us. Although, having a barbecue, is so uncommon in various situations. Including in apartment balconies, yards, and small terraces. At first glance, these places seem unable to accommodate such a function. All you need is the help of a professional who can transform any small space into a broad, flexible and modern environment. 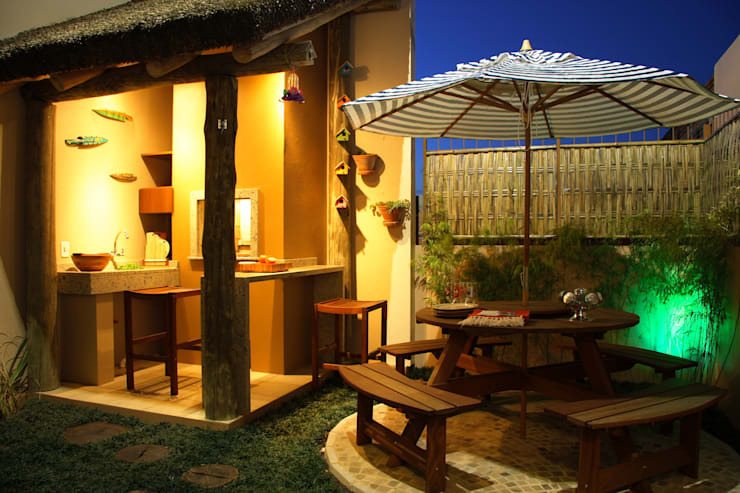 Our architects are experts in tailoring spaces according to the wishes of the clients. Today we will see 17 barbecue areas that were designed in small backyards. 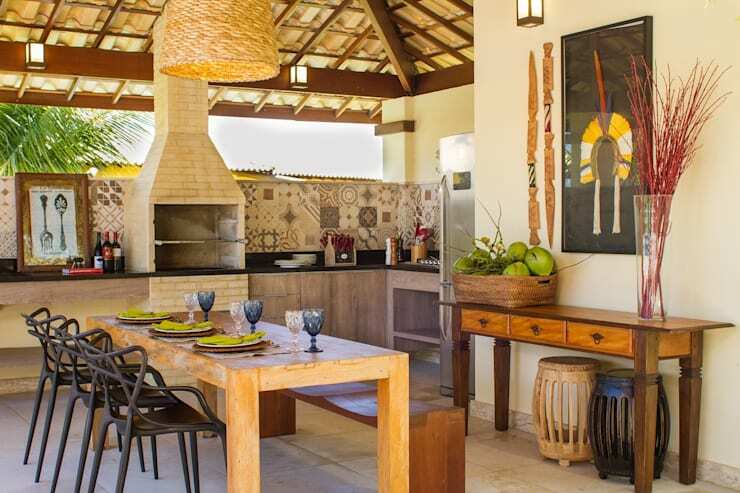 Wood, native prop, and fiber luminaire give this leisure area a tropical atmosphere. 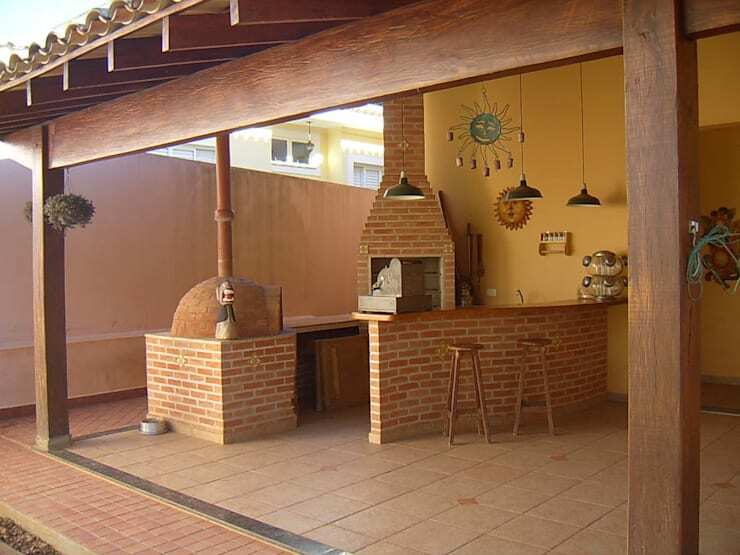 Here we see a rustic style barbecue area combined with small environments. The result is a delight space to spend quality time. 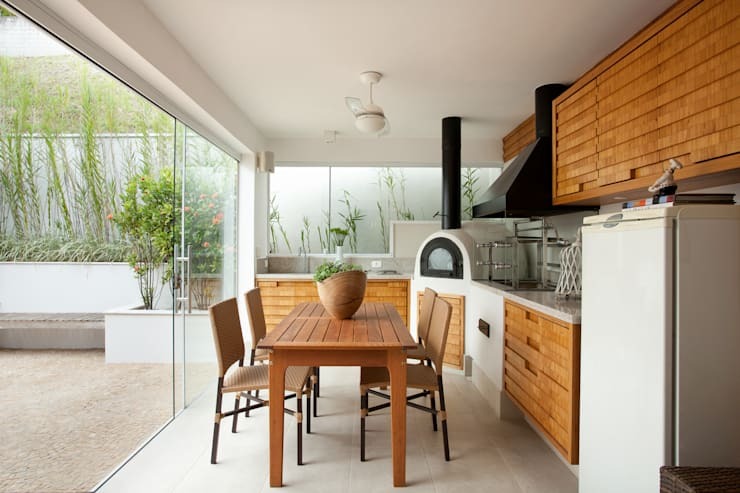 Using simple flooring and modern furniture are exciting ideas to transform your leisure area. This barbecue is coated with wood and looks even more friendly. By doing so, the small yard gets a new face. 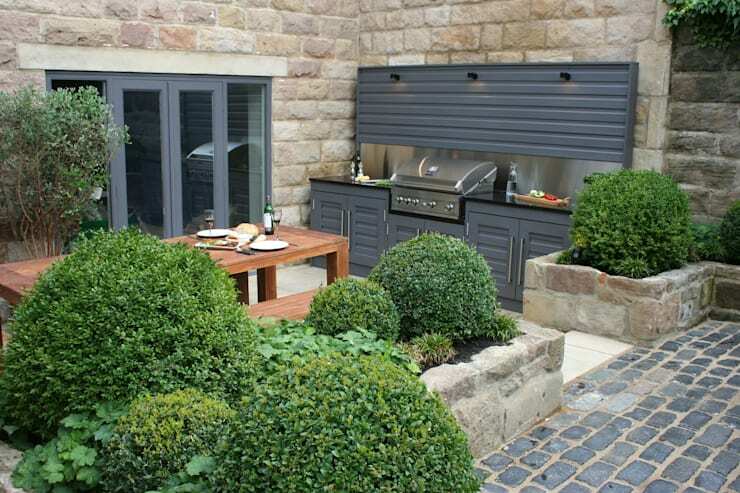 The bench separates the environment along with making the barbecue area more sociable. It is also perfect to receive the guests. 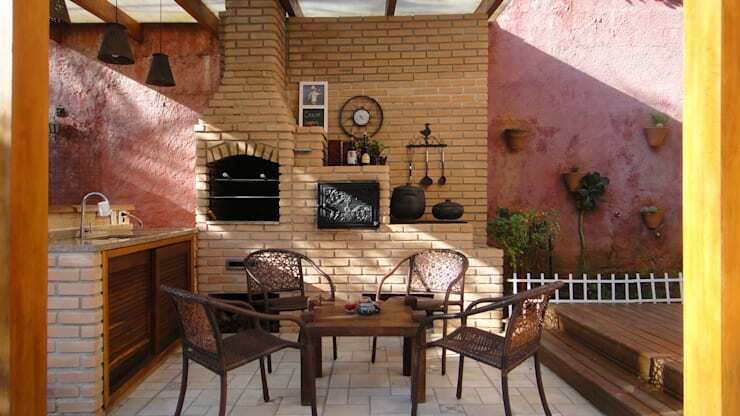 Compact and modern, this barbecue area fits into a small backyard and is also super comfy. 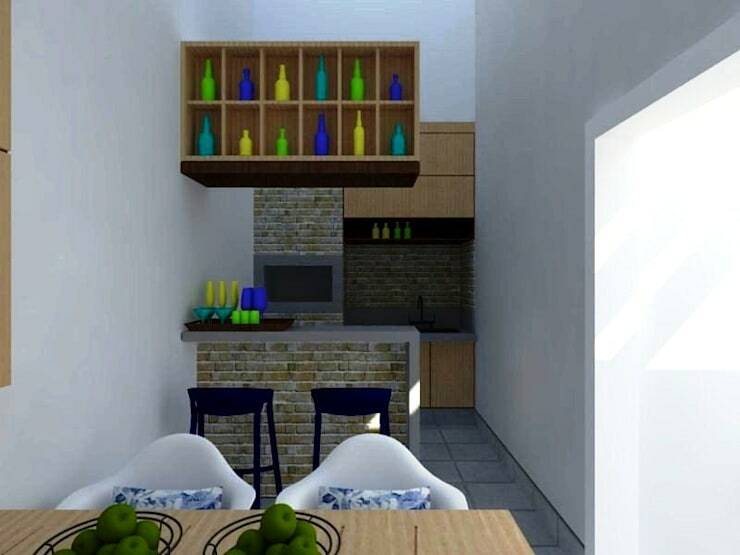 Here the combination of modern finishes and comfortable furnishings looks absolutely perfect. 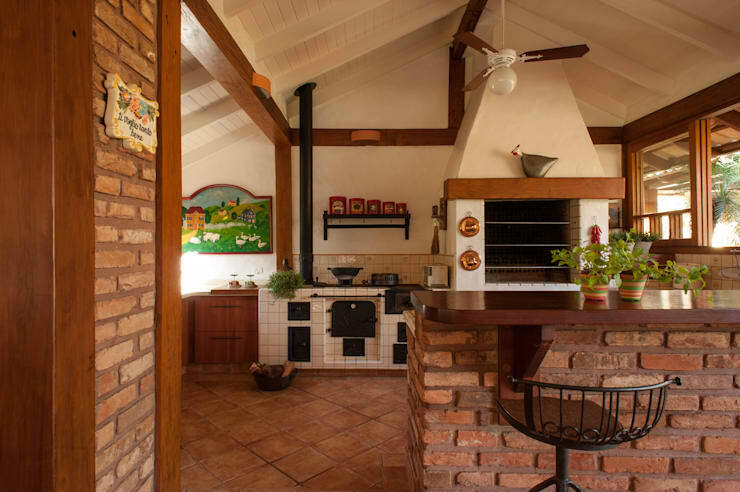 The barbecue fixed to the ceiling goes very well in small areas as it helps save space. 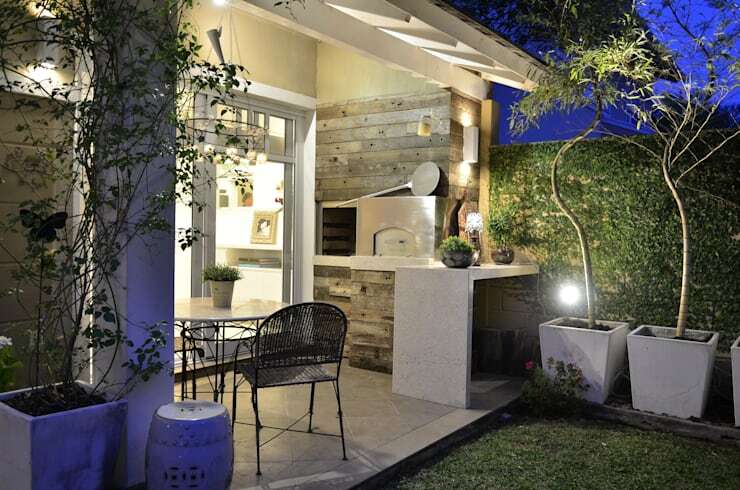 This backyard is versatile, succinct, and practical thanks to its proximity to the kitchen. 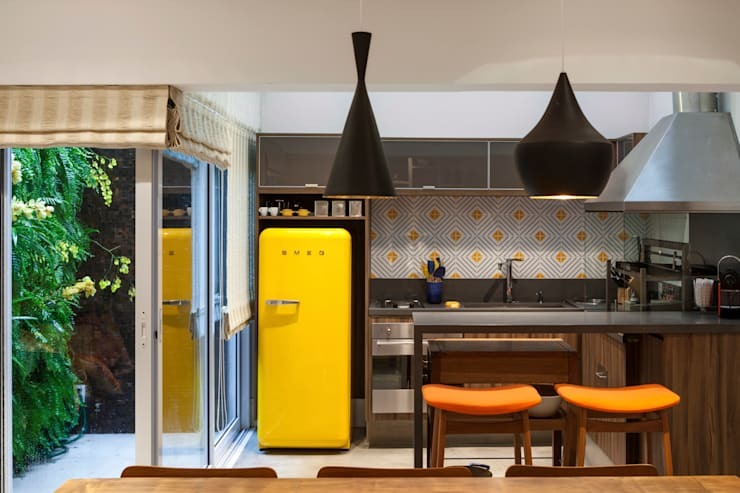 Here contemporary fittings and finishes are present even on the grill. 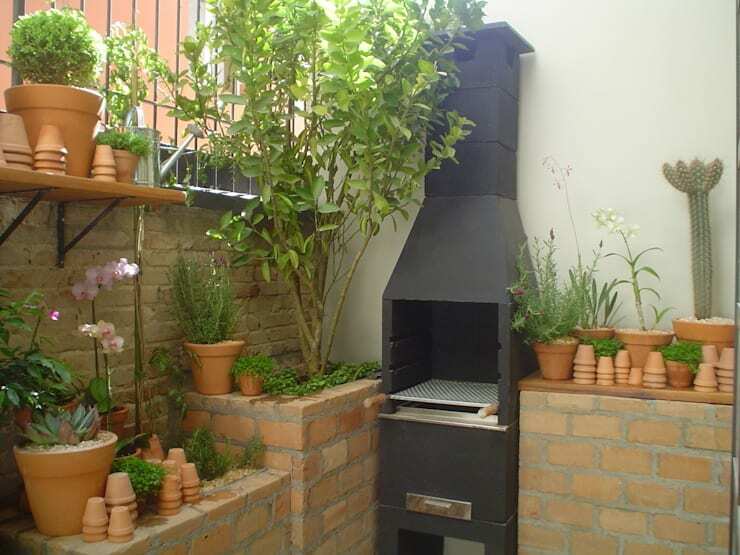 This incredible barbecue equipment fits like a glove in this little garden. 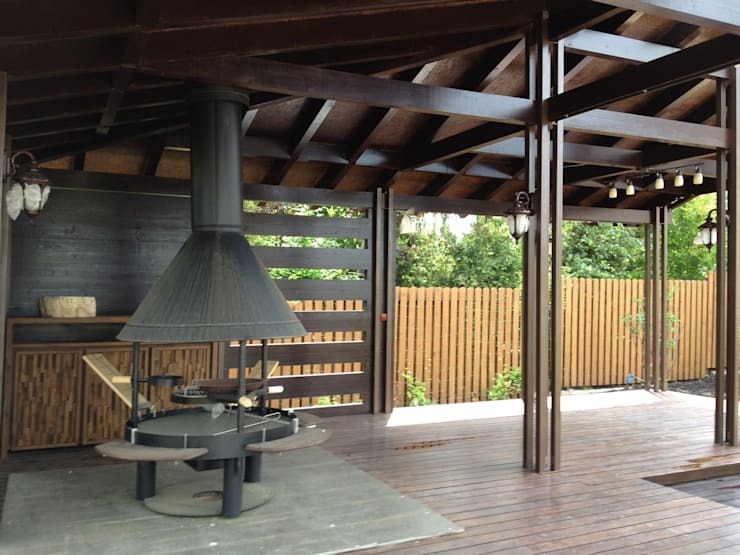 This environment is integrated with the interior and is ideal for barbecue raining or shining. Apparent brick grills are a classic. Therefore, they can always be used in any home. 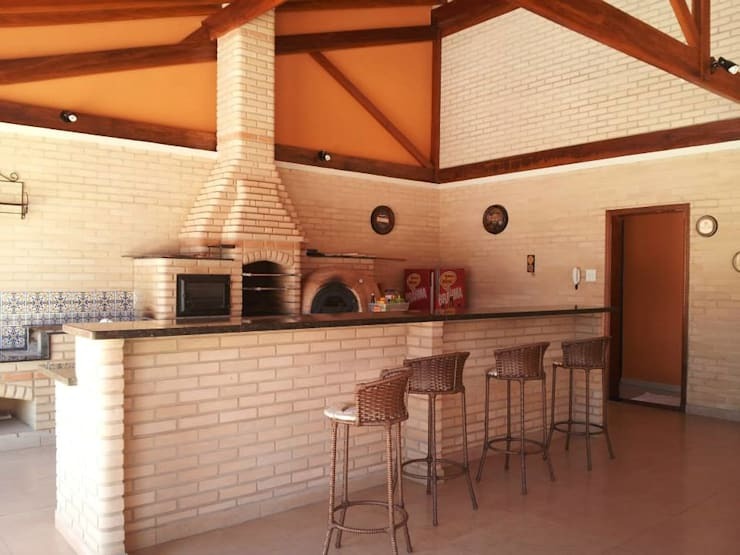 With the help of proper planning, the designer was able to even fit a pizza oven in this flexible and pleasant leisure area. 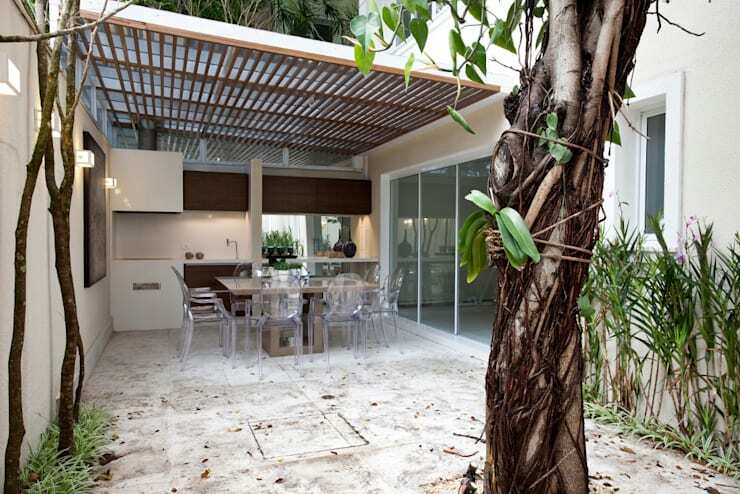 Here the outdoor and interior spaces have been integrated in a creative and balanced way. 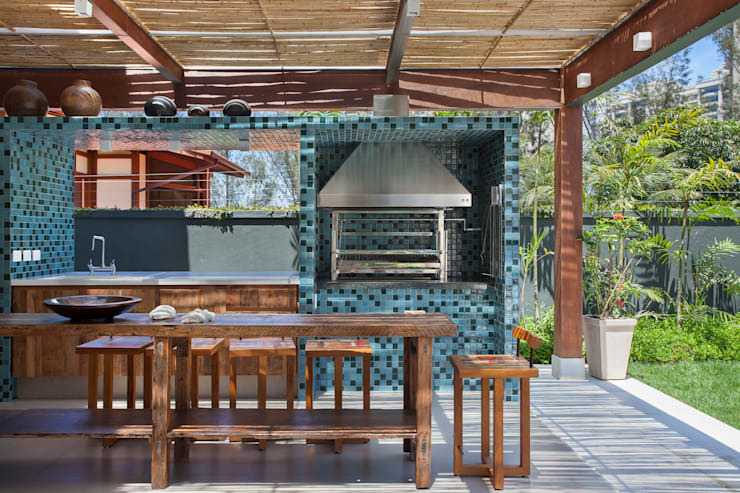 Modern and bare, this barbecue area can open the appetite of anyone. Integrated areas ensure greater flexibility, which is an essential concept in small environments.